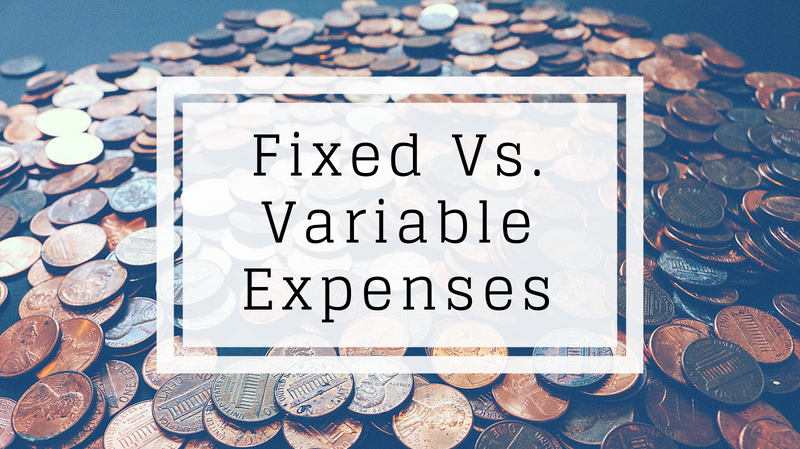 When reviewing your monthly budget, it’s important to understand the difference between fixed vs. variable expenses. Fixed expenses are your weekly, monthly, or annual bills that don’t fluctuate. These include things like mortgage or rent payments, car payments, insurance premiums, utility bills, and the average amount you spend on groceries. Variable expenses are fluctuating costs that you could easily cut out if you needed to—things like clothing, coffee, eating out, and going to concerts or plays. If you’re looking for an efficient way to free up cash flow, start by identifying fixed vs. variable expenses in your budget, then focus on getting rid of the fixed costs. Being mindful of your expenses—especially fixed expenses that may follow you around for decades—is vitally important. Review the variable costs. Ask if they are mindful or just habitual. Do they enhance your life or are they just there out of habit? Review the fixed costs. Look to see how and when you can get rid of them. If you are able to cancel some monthly subscriptions and services you don’t really need or lower some of the above variable expenses (e.g., coffee and eating out), then maybe you’ll have extra cash to pay down some small loans more quickly. Then as you pay off the smaller loans, apply the cash from those payments against the bigger loans (e.g., student debt, car loan, mortgage) until one day you are debt free! For more ideas on how to reduce your fixed costs, check out my post: 3 Ways to Free Yourself from Unnecessary Monthly Expenses. An example of a fixed cost I’m currently trying to get rid of is my car. My drive to work is the biggest fixed expense in my daily routine. I’ve calculated that if I could make my local transportation cost variable, I would have $300-500 per month that would travel with me wherever I go. Can I get rid of my car entirely, work remotely some days, bike or bus to work other days, and then use services like Lyft, Uber, or rental car companies when I have to drive further distances or get groceries? Can I get a car that I can share with my boys, and then do some combination of the above to avoid the fixed cost of insuring and maintaining multiple vehicles? This would also simplify life and reduce time spent on plate renewals, car inspections, etc. To better set myself up for either of these options, I’ve started looking into moving my office closer to home. Moving is certainly not an option for everyone. However, remote working is a huge trend right now and will become an option for more and more people. This is exciting, as transportation costs take up a big chunk of the monthly budget for a lot of people. Have questions? Need help identifying your fixed vs. variable expenses and brainstorming ways to reduce them? Contact me online or email Carlo@IntegralWealth.net.